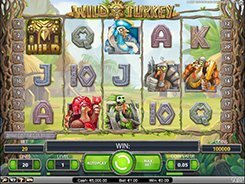 Super Lucky Frog is a NetEnt-powered video slot that features three progressive jackpots: Super, Lucky and Froggy. According to latest stats, an average win of the Super progressive jackpot is €28,161, and it takes 12 weeks 3 days on an average to hit the Super progressive jackpot. 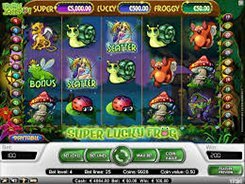 To stand the chance of winning any of the three jackpots you need to hit three Bonus Frog symbols across an active payline without any requirements on a bet size, so betting less than the maximum possible bet of $50 do qualify. 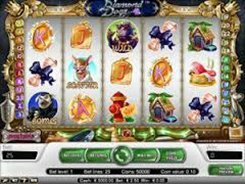 After rolling up the said combo, you will be invited to spin a bonus wheel of fortune that will award you either a big cash prize or a progressive jackpot. 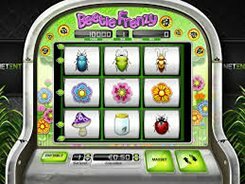 The slot is played over 5 reels and 25 bet lines, and is themed around fairy tales. On the reels you will see snails, butterflies, mushrooms, ladybirds, elves, etc. There is a scatter symbol that pays out a $20,000 fixed jackpot for five of them scattered anywhere in view. 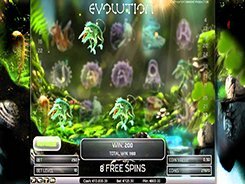 Besides, three, four or five scatters unlock 10, 20 or 30 free spins with all wins tripled. Another big payer is a wild symbol that substitutes for other non-feature symbols and awards up to $15,000.